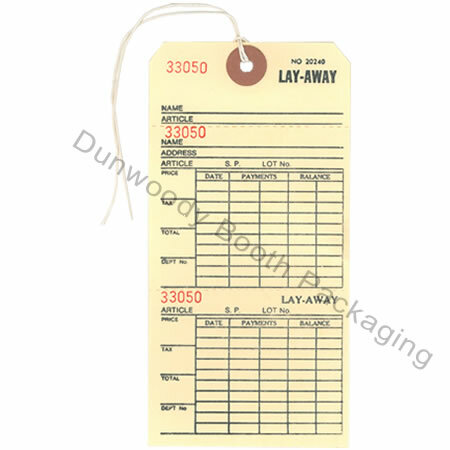 Keep your storage area organized with these perforated layaway tags. These handy tags record all the information that you will need including customer information, payments made, balance due, style of garment, etc. Numbered tags sent in sequence for easy record keeping. Manilla tags with reinforced hole and string.